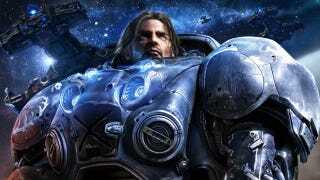 The company behind World of Warcraft, StarCraft and Diablo said that hackers breached their network. The breach was detected this week and while Blizzard chief Mike Morhaime says there are no signs that financial data was stolen, he is recommending that people change their passwords. At this time, we've found no evidence that financial information such as credit cards, billing addresses, or real names were compromised. Our investigation is ongoing, but so far nothing suggests that these pieces of information have been accessed. Gaming companies are popular targets for these kinds of hacks. In early 2011, Sony's PlayStation Network was infiltrated and had to be taken offline for several weeks. Customer credit card info was stolen from Sony Online Entertainment at that time. In June of that year, publisher Codemasters was hacked. Valve's hugely-popular Steam was breached last fall. In some cases, credit card info was accessed; in others, it was not. Despite those and other hacker attacks on gaming companies, the worst fears—those of widespread use of gamers' data by the hackers—never seemed to become reality. That could be because data encryption stymied some hackers, but it could also be because consumers took action. So... take action. Be safe and change your passwords, people.